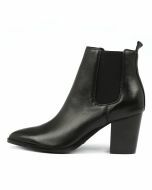 Black leather ankle boots will always have a place in your wardrobe and this fashion-forward pair offers a contemporary feel to a classic silhouette. Rendered in supple leather, TULLE features elastic gussets on each side, a flattering pointed toe shape and a high block heel. 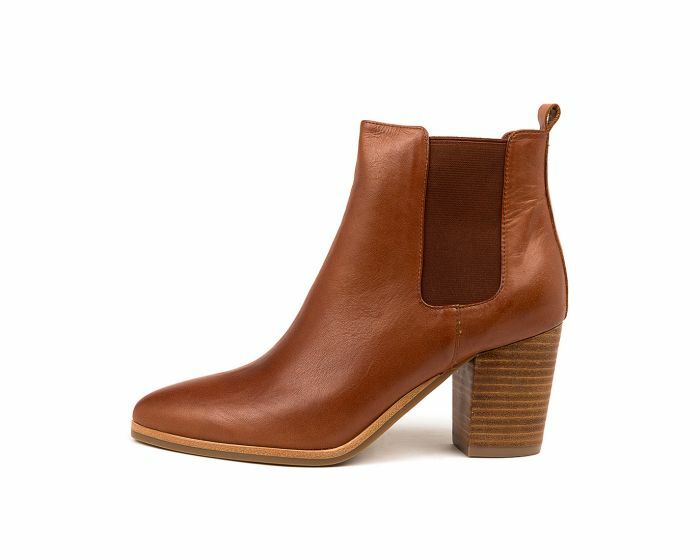 A versatile option for day or night looks, this charming Chelsea boot can be paired with the simplest of outfits to make them feel extra special.